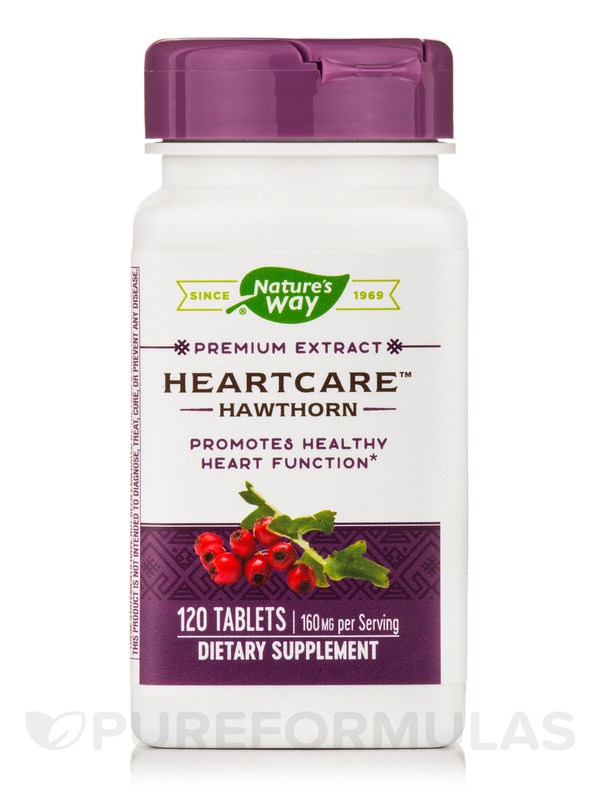 HeartCare Hawthorn Extract by Nature's Way is great. So helpful for blood circulation. 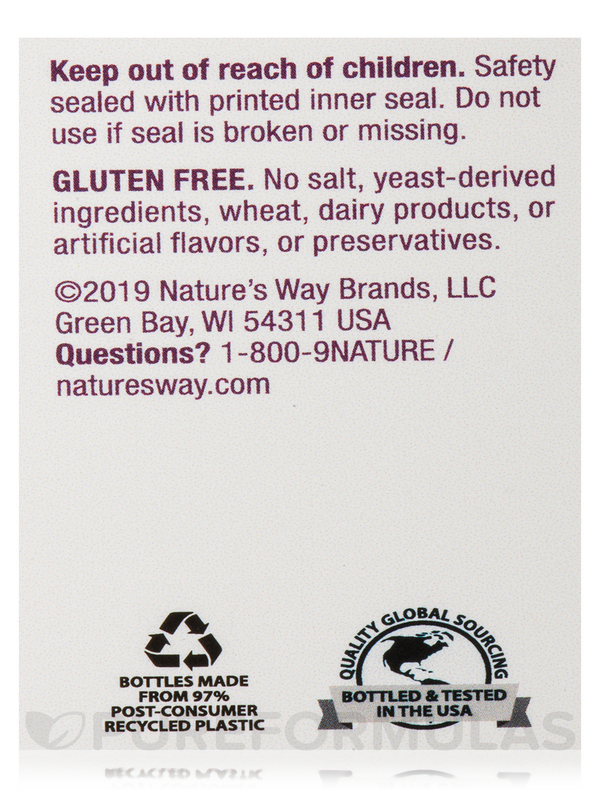 My husband and mom use it and love it! 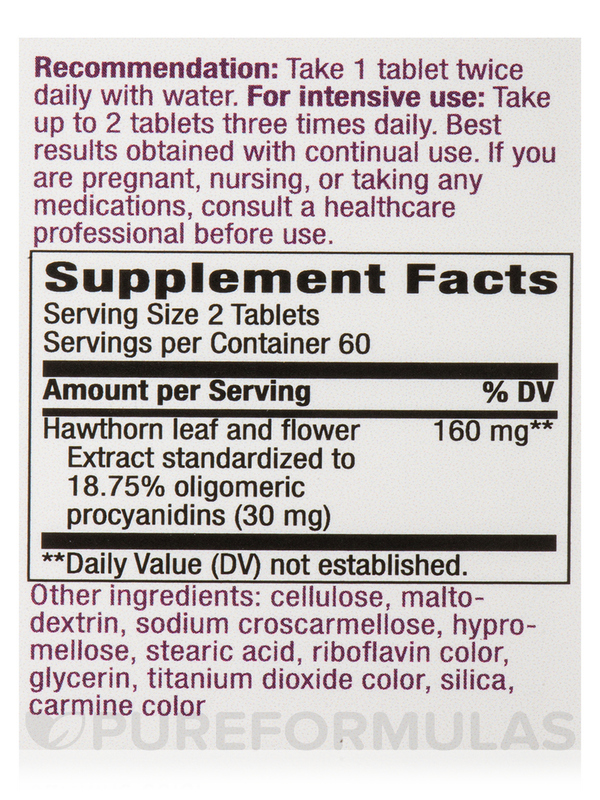 I ordered HeartCare Hawthorn Extract by Nature's Way because it has the best formulation I can find. It's easy to take and it lasts a long time. 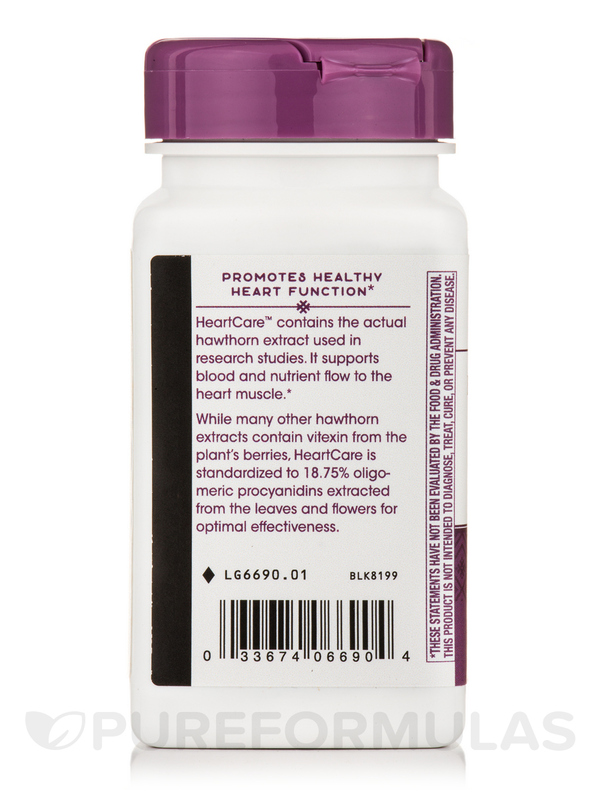 While many hawthorn extracts contain 2% vitexin extracted from hawthorn berries‚ HeartCare™ uniquely contains 18.75% oligomeric procyanidins extracted from the herb’s potent leaves and flowers. Extracting from this different plant part provides up to 10 times more of the key active bioflavonoids necessary for efficacy. Validated by over 50 years of clinical research‚ HeartCare™ has been shown to support efficient heart muscle metabolism by improving its oxygen and energy utilization. Improves blood & nutrient flow to the heart muscle. 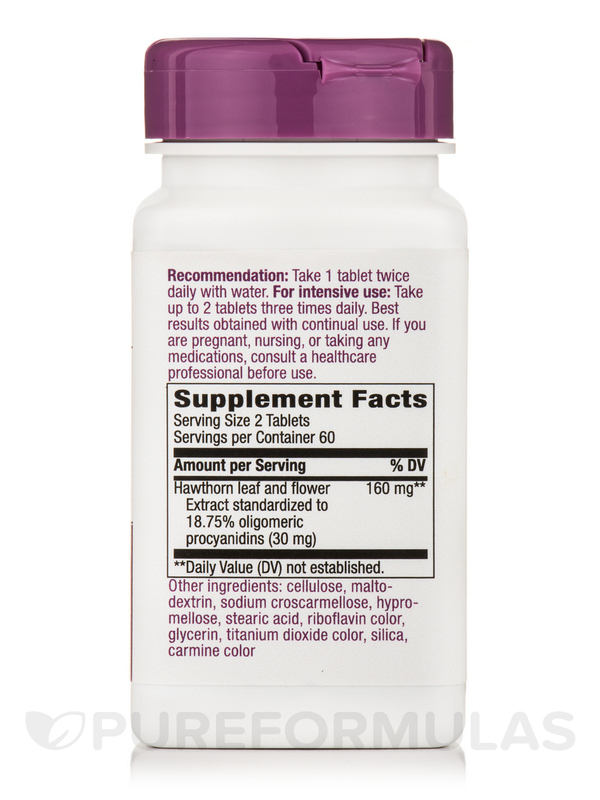 Take 1 tablet twice daily with water. For intensive use‚ take up to 2 tablets three times daily. Best results are obtained with continual use. Small size, easy to swallow. 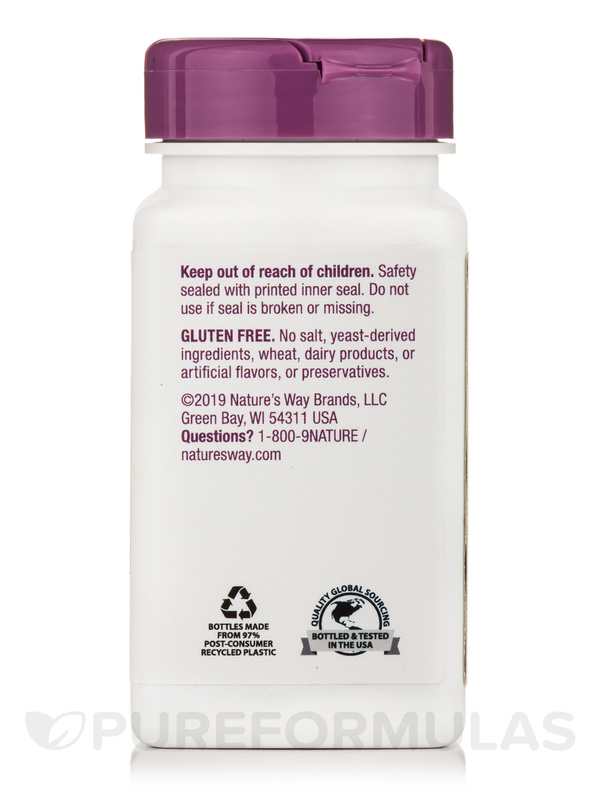 I have used many brands of hawthorn with little results, except for Heart Care Hawthorn by Nature's Way it works well!